GREAT GLEN LAKE, Scotland - Scotland, the green mountains, the weather, Lochness (and its monster) looked like a great back drop for a spectacular SUP race. Unfortunately, the former organizer of Great Glen Lake race announced just four weeks before the race that it was canceled, but, luckily fellow ultra long distance racer Joanne Hamilton-Vale and her husband Peter Vale took over so I kept my flights and took Dagmar (my wife) on the adventure to Scotland. With the change in race organizers the race name was changed to the UK SUP Great Glen Paddle Challenge. With only a few weeks to organize and cold and windy weather in the forecast only 10 paddlers showed up to the 3:00 am start. The record from the last Great Glen race two years ago was set by Mark Slater in 11hrs and 17 min. We started at 3:30 am in pitch dark with only the navigation lights on our boards and a faint glow from the disappearing moon behind the dark clouds. I had studied the maps, and apart from the 40km Lake Loch Ness it was not very hard to find the route… I hoped. The course consists of three lakes and canals inbetween with locks. Straight across Scotland, we started in Inverness on the North Sea side of Scotland going all the way to the West coast of Scotland (Irisch Sea). After the start, we quickly disappeared in the night. First, it was off through a 10km canal to the beginning of Loch Ness. I was paddling on my Starboard Sprint 14’ x 23” and didn’t know what to expect at the lake. The Sprint is a relatively narrow Flat water board. If it was going to be windy at Loch Ness it would be a wild and tippy ride. The water temperature on the lakes was cold (5-12 degrees). I dressed for racing, pretty light so I wouldn’t overheat. I wasn’t dressed for swimming but I had brought a thick survival blanket and an extra jacket which was part of the required gear (also a life vest, navigation lights, GPS tracker, leash), I opted not to take my SupSkin drysuit which would have been the wiser choice. The GPS tracker is a good way for long distance races to keep track of racers and a lot more environmental friendly than having a support boat like they use in the M2O for every racer! I passed the Canal quick and arrived at Lake Loch Ness in almost pitch dark. I turned off my front navigation light so I could see at least a shimmer of the water but it felt almost as if I had my eyes closed, but at least I could see a vague contour of the mountains around the Loch so I could find my way to the bottom of the lake where the entrance of the next canal was. The lake was about 40km long, and after 30 minutes or so on the lake the wind from behind really picked up and it started becoming a downwinder. Being on my narrow board and seeing nothing, this was not an easy task. And then, not to think of the dangers meeting Lochie, Loch Ness’s Monster. Luckily Joanne brought a whiskey offering to keep him calm and I, like many before me, didn’t see the monster. Most wind swell remained unridden, as I was trying not to fall in. But still I made decent progress. After almost four hours on the lake, very slowly, the sun started to rise. Now, I was able to see waves and could ride them. It was still very tippy on my board but a lot easier now that I was able to see. But it all seemed very fitting; A rough race in a rough lake, surrounded by rough mountains in rough cold and windy weather. I had travelled the last couple of days with my wife Dagmar through the highlands and to the Islands of Scotland and loved the landscapes and nature here. I thought of the other racers, in the beginning, I had seen the lights of Joanne and Phil but I thought mostly of Dean Duncan who is blind and was doing this whole race with Allistair Swinsco who guided him through the route. Now that is a challenge. After five hours and 30 minutes I got to the Locks on the other side of Loch Ness. I was relieved I passed the hardest part of the race and didn’t even fall in. Dagmar was supporting me and gave me some food and a fresh blatter with energy drink. Another two sets of locks followed before we got to the next lake, Loch Oich, a small but beautiful lake with some ruins of a castle halfway. The weather was better than expected, it was supposed to rain all day so it was dark and cloudy but there were just a few drops here and there and it was very windy and cold. But, it is all relative. In Scotland it was a good Scottish day, for a Dutch-transplant-Hawaiian, it was a freaking fresh and cold day. After Loch Oich, there were only a few more locks until we got to Loch Lochy another almost 20km lake. I was still feeling fit after eight hours of paddling but I started to feel my knees and legs especially on the last half of this lake when it became a full-on downwinder again. So, I was glad when I got to the last locks at the end of the lake. One more portage over the locks and another nice 10km to go… The last couple of hours I realized I could do it just under 11 hours if I would keep pushing which would break the two year old record by Mark Slater. After 10 hours 50 minutes and 12 seconds I passed the finish line, a new record by 27 min! Joanne Hamilton-Vale came in at 11 hours .37, breaking her own record too. Phil Plume came in third after 12 hours 41 min. But the best effort came from Dean Duncan who, paddling blind all the way, came in after 14 hours and 47 min. Allistair Swinsco guided all night and day. After paddling for 4 hours in the pitch black myself, today, I can only scratch the service off what Dean always feels when he is paddling. Such a great athlete and an even greater spirit. Great Thanks to: Starboard for the support and making fast and innovative and sustainable boards, Black Project fins, Supskin Drysuit, Patagonia and Maui Jim sunglasses. 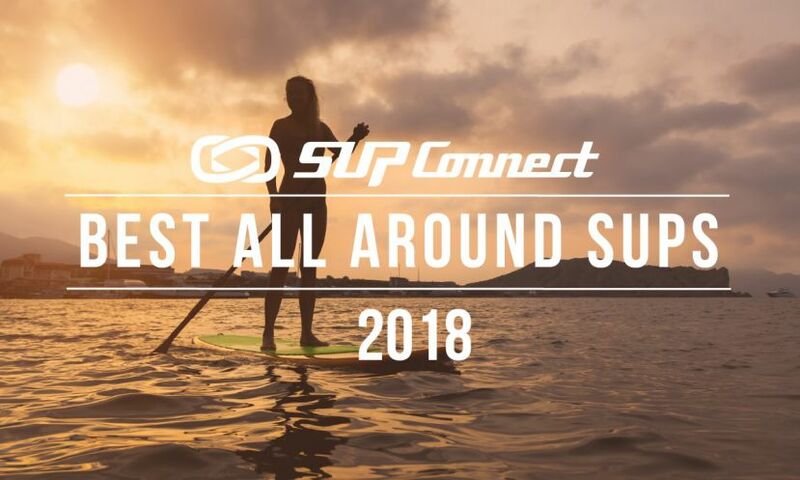 To see more SUP Journeys and Adventures, click HERE. Maui, Hawaii - Bart De Zwart is arguably the most respected and accomplished navigational SUP paddler. He has traveled all around the world on his SUP and is a true waterman. De Zwart is one of the nicest guys you'll ever come across on the water and land and a true ambassador of SUP.